Hello scrappy friends! 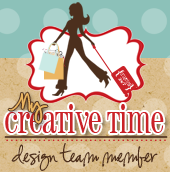 Welcome to another My Creative Time Scrapping the Little Things! Every Monday Emma and a few of the design team members work on their Smash pages. Layouts and Project Life albums. Today I wanted to share this smash page I made in My Summer Smash Book. I am so behind in my book, mainly because my kids have been sick! Ugh. Im still working on getting them better..Anyways, I love all the banners in this page and love love love Emma's dies! I love all the layers! Check it out! Are you working on your smash pages?? Thanks for stopping by today and make sure you check out the rest of the design team members for more inspiration! Big Crafty hugs! Super job on your page and video. Great job to your daughter...I hope trips will be easier for her now. The stitching on the title and the banners are my favorites. Love your layout!